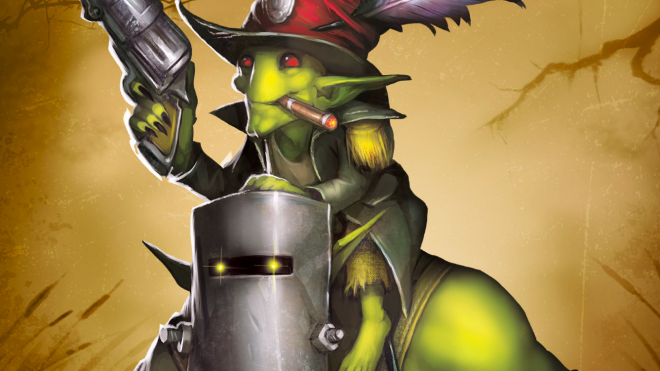 A new duo of brains and brawn are joining the Malifaux Gremlins for the 3rd edition; the big hat Georgy and his enforcer Olaf. 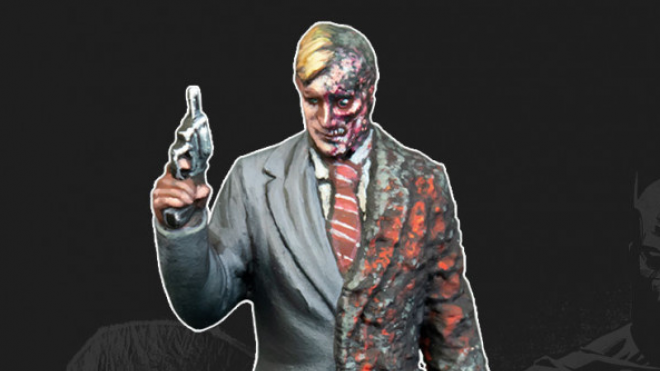 Knight Models have stepped back into the Nolan Batman movies, with new versions of Two-Face and Batman's iconic vehicles up for pre-order. 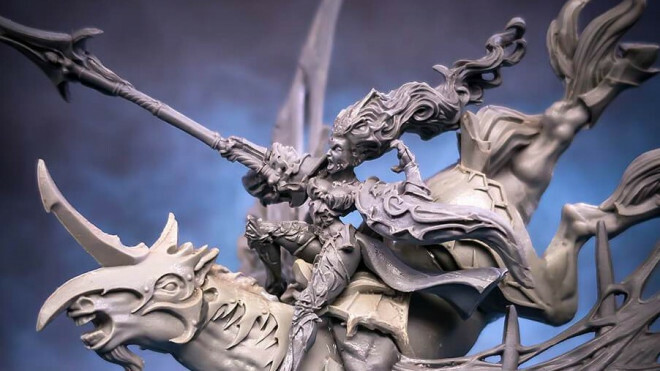 Scibor Monstrous Miniatures are bringing the ethereal and immortal to the tabletop with three new elven releases. 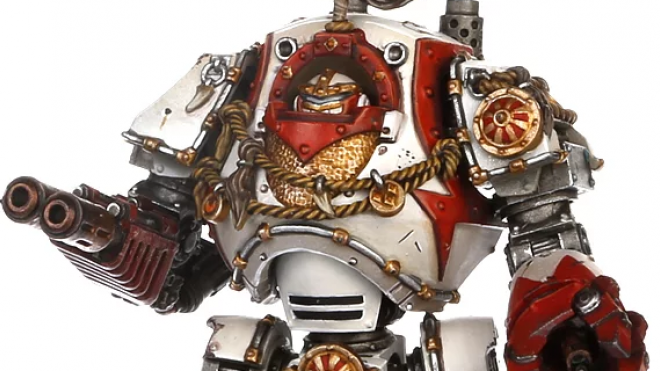 The White Scars of the Horus Heresy featured prominently in the new book Malevolence. 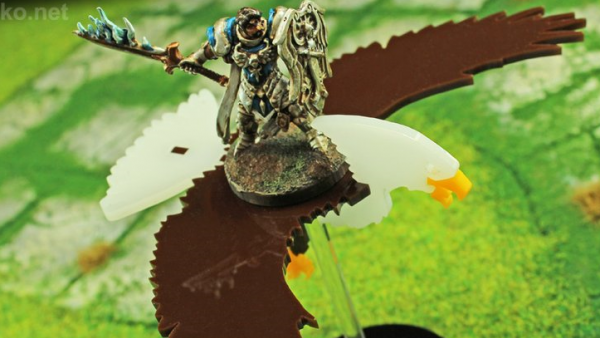 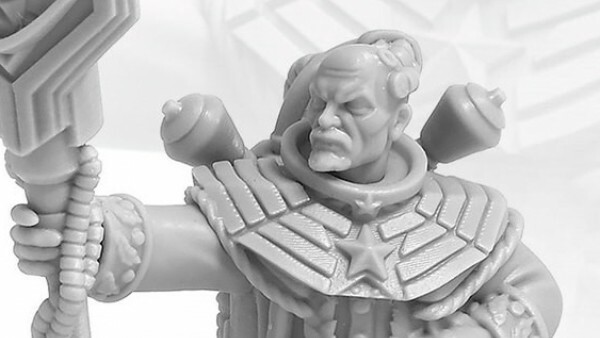 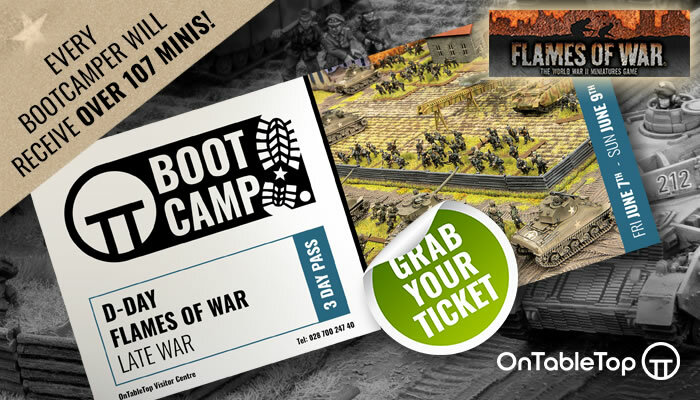 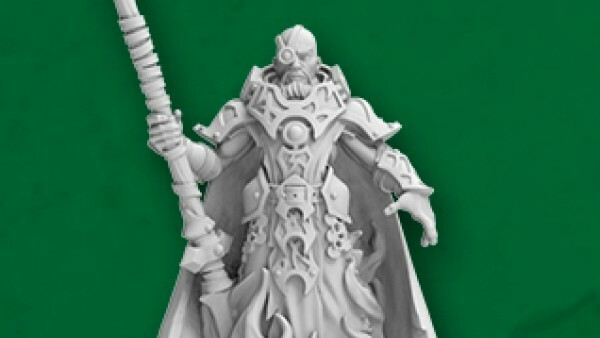 Now, Forge World have two new additions to their armies up for pre-order. 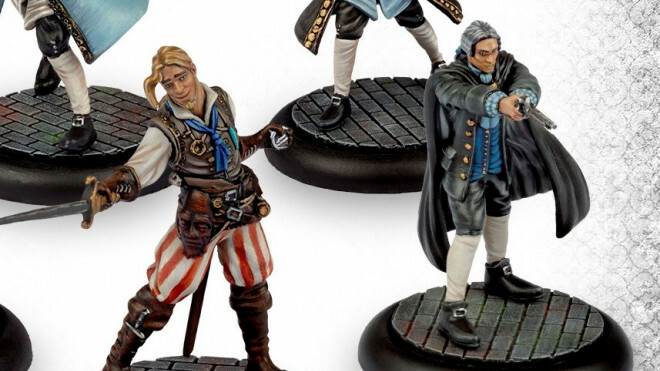 Artel W Miniatures have kicked off their spring season with a preview of two wonderful women to add to your tabletop! 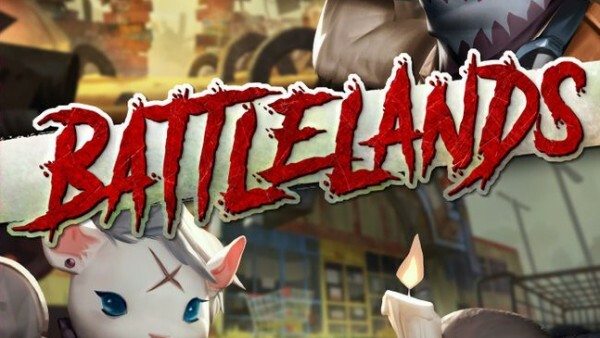 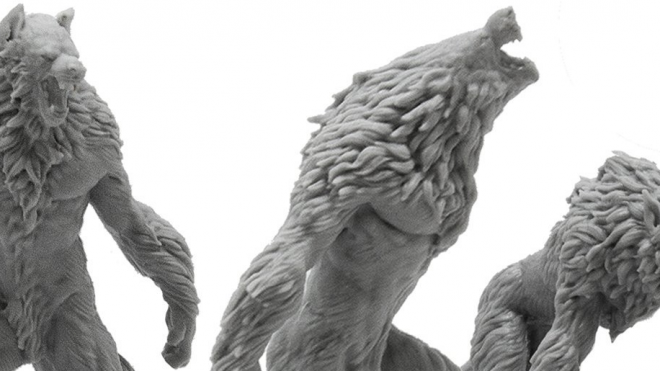 Mantic have shown off their new show exclusive miniature Zombie Blaine, which will be making its UK debut at this year's Salute. 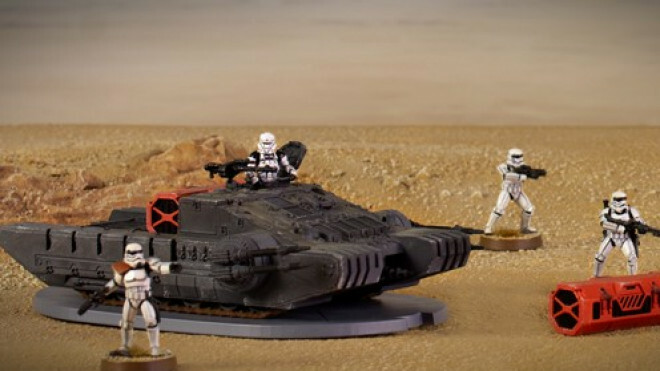 The Galactic Empire has always recognized the ability of advanced weapons to sway the masses. 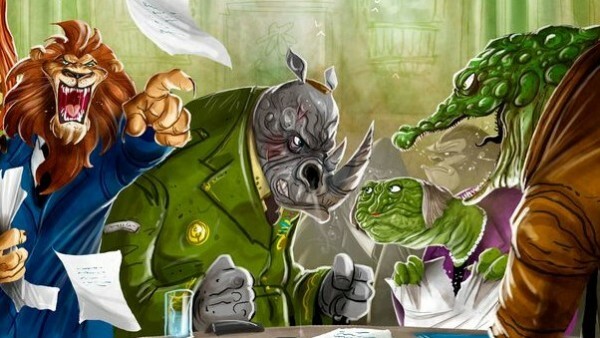 Venice has long been a republic, but the system of rules isn’t necessarily fair. 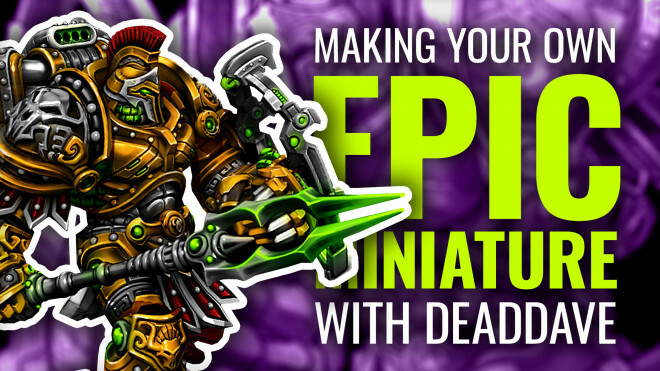 Making Your Own Epic Miniatures: The Grand Finale! 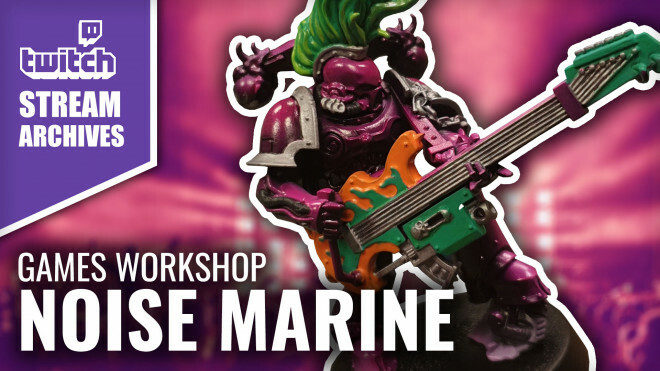 Four years after he first set out to make his own mini, DeadDave's model is finally finished and making its way to Salute. 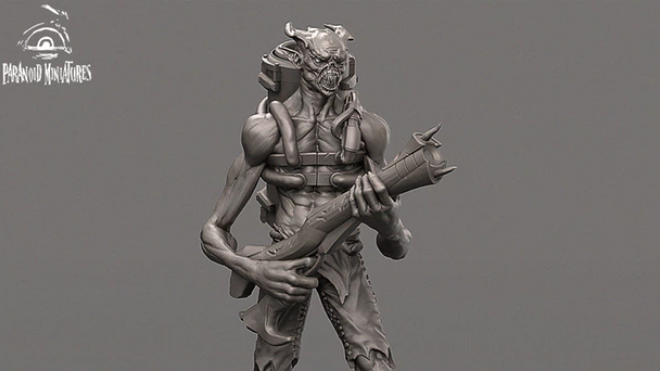 Artel W have shown off some new, upcoming sculpts they are working on for scifi, gothic worlds. 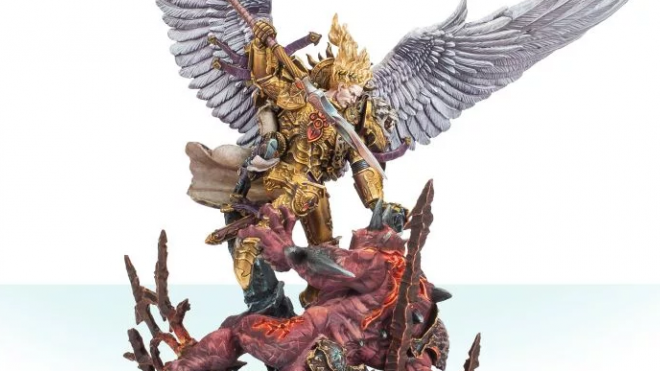 Forge World are delving back into the dark times of the Horus Heresy, as the primarch Sanguinius arrives for pre-order, alongside the eighth book providing the rules for playing this tragic time of an empire split asunder. 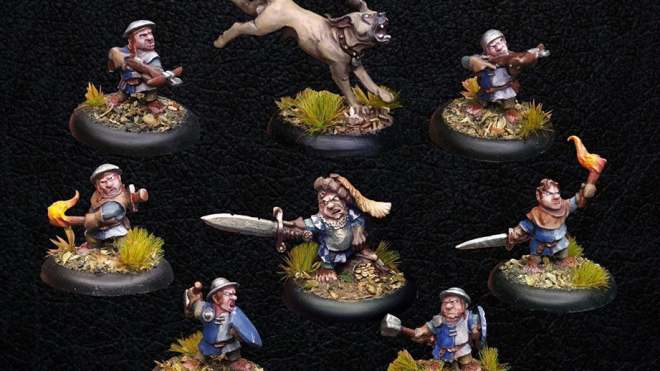 Atlantis Miniatures have released a Mythology Core Box, collecting together some of their fantastic creatures and heroes from a time of legends. 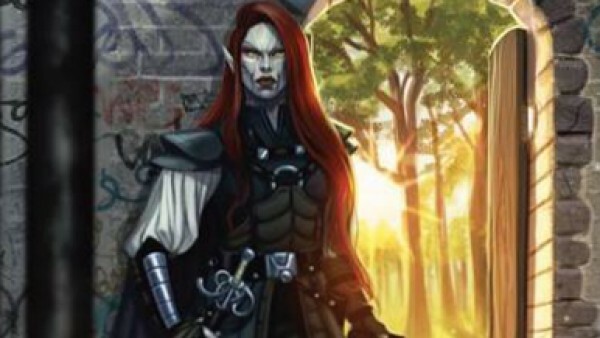 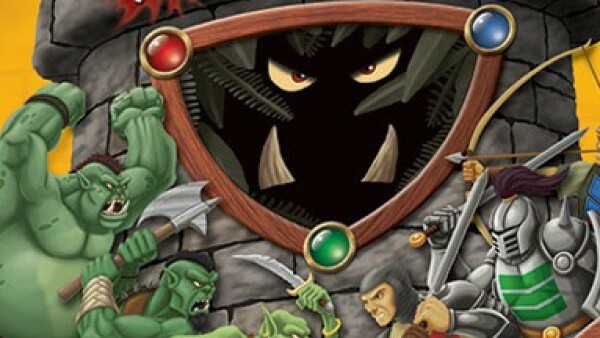 The second edition of Warploque's fantasy miniatures game ArcWorlde is coming this year, and now the new starter warbands for the Wild Elves and the Halflings have been revealed. 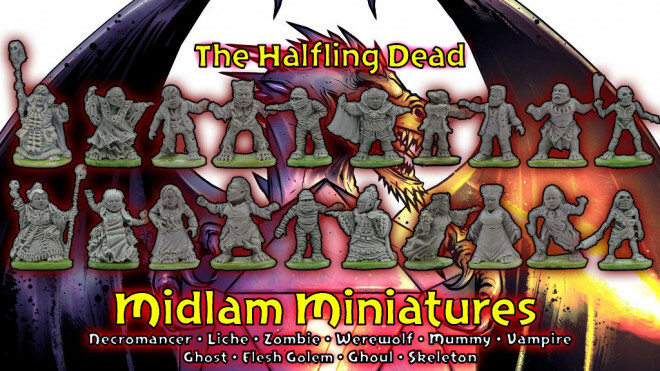 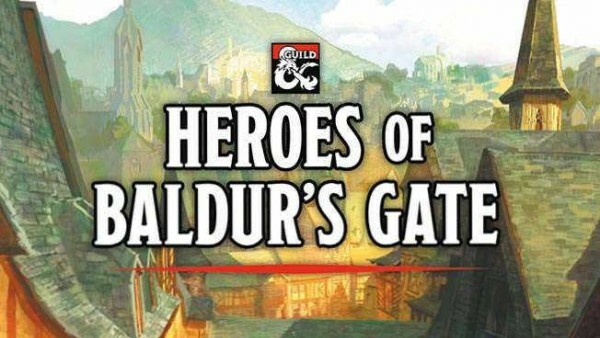 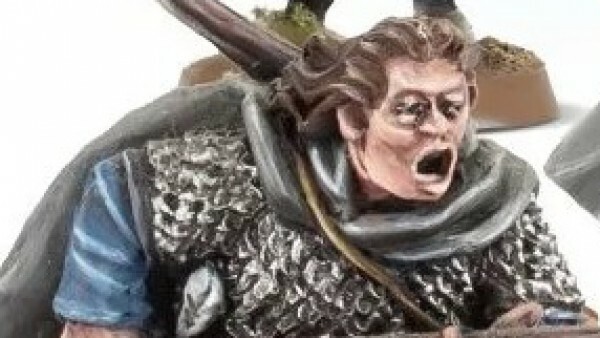 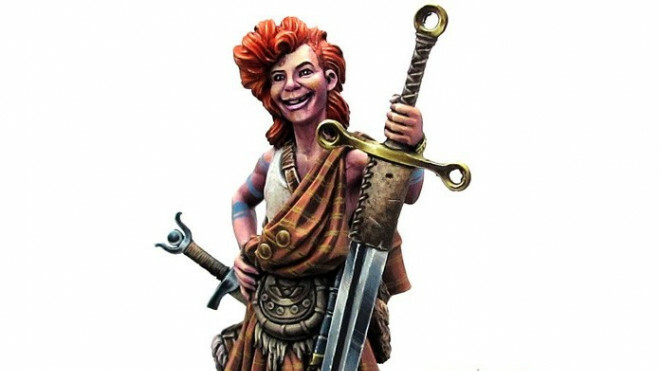 Midlam Miniatures are running a Kickstarter campaign to fund the forces of their Halfling Dead. 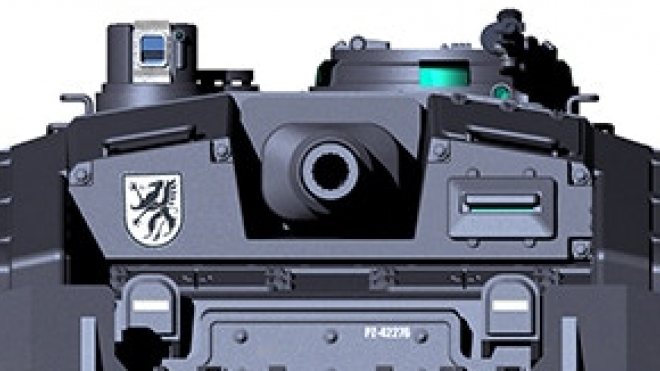 DreamForge have gone to Kickstarter to help fun their latest sci-fi vehicle, the heavily armoured Eisenkern Grav-StuG. 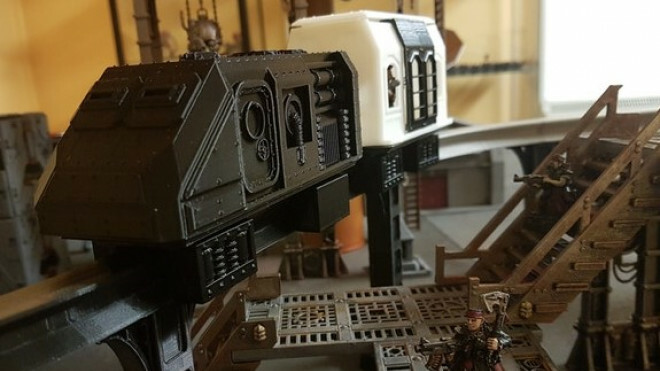 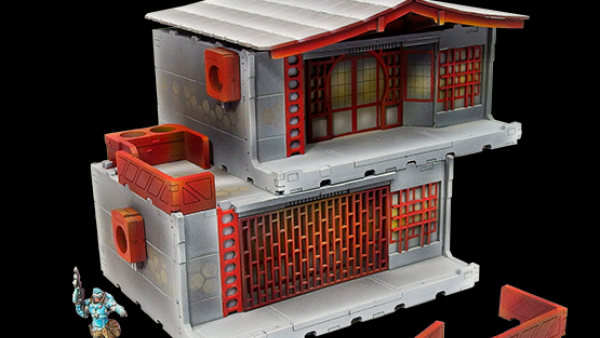 Archon Studios have plenty to show off at this year's Salute, including the first production units of their Rampart plastic terrain and the launch of a whole new science-fantasy wargame, Starcide. 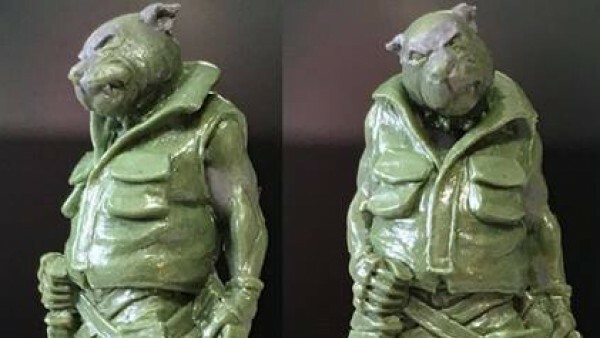 Bad Roll are showing off some of the painted minis from their Punkapocalyptic Kickstarter that will soon be up for sale. 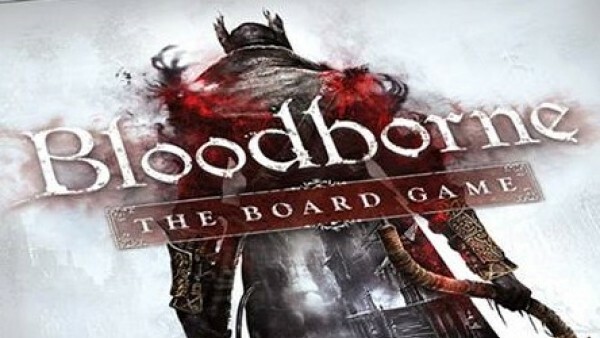 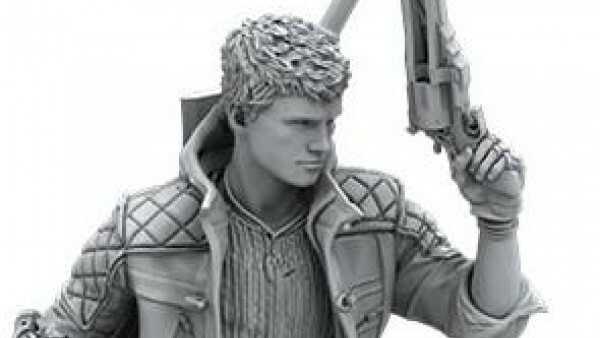 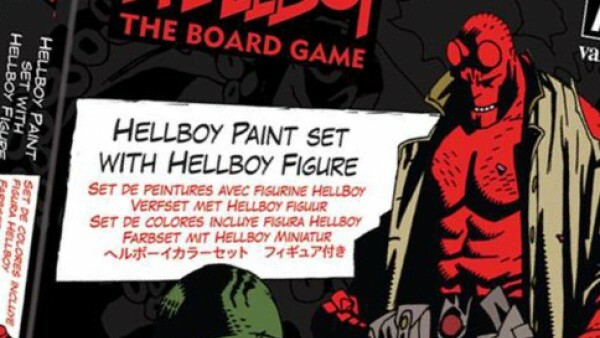 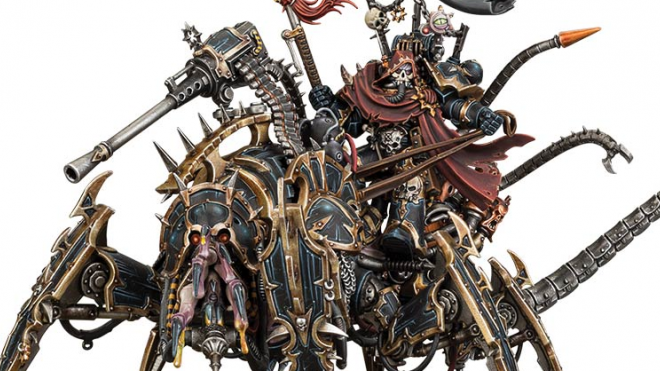 Games Workshop have previewed another HQ choice that will soon be coming out to lead the forces of Chaos Space Marines. 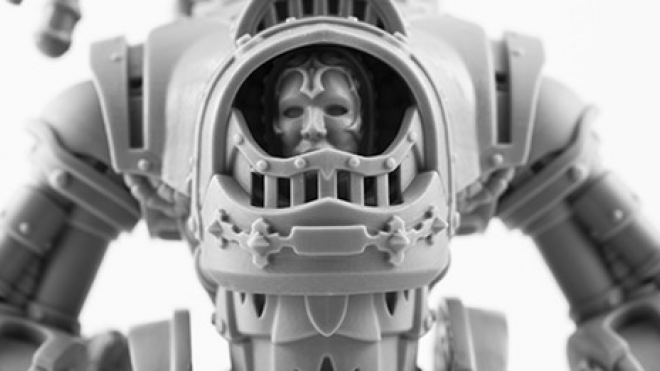 A master of daemon engine technology, The Lord Discordant. 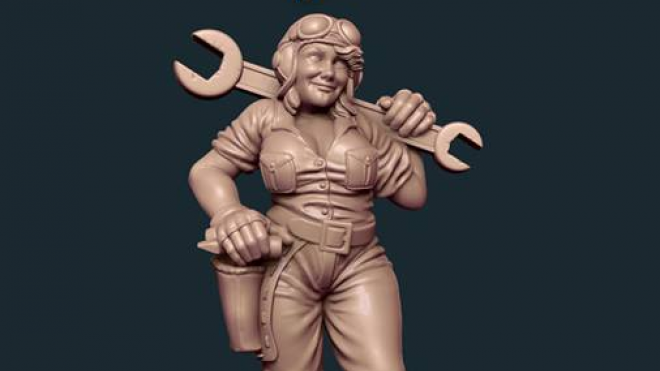 Gangfight Games have previewed a new sculpt for their upcoming game Runerunners, a dwarf mechanic who is ready to set things right. 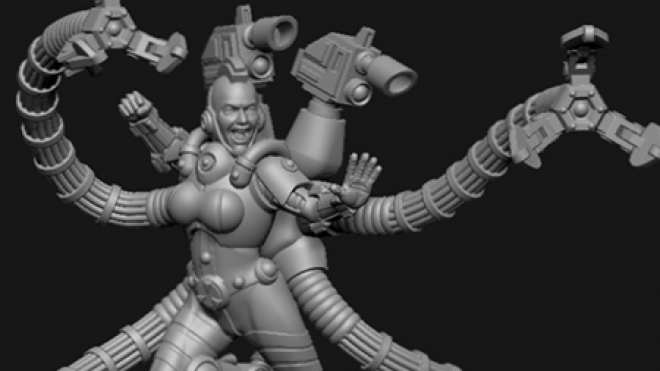 Anvil Industry have published some new previews of the miniatures on their way for their successfully Kickstarted Daughters of the Burning Rose army of sci-fi gothic warrior women. 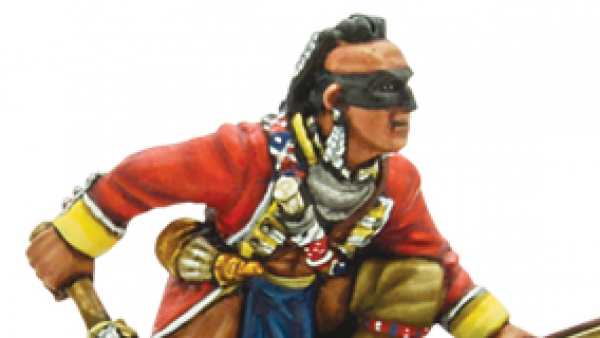 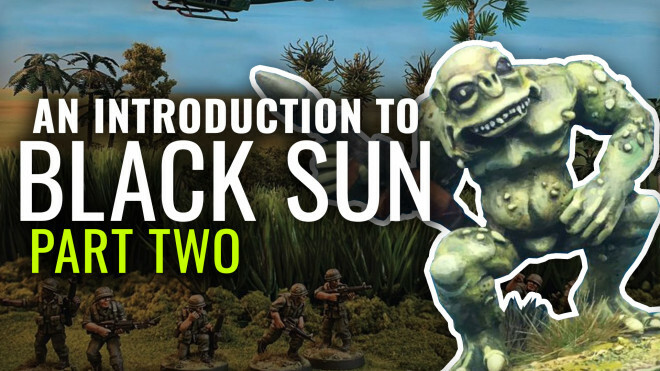 Lee of Crucible Crush returns for the second part of his articles series introducing us to the world of Black Sun, which is currently on Kickstarter. 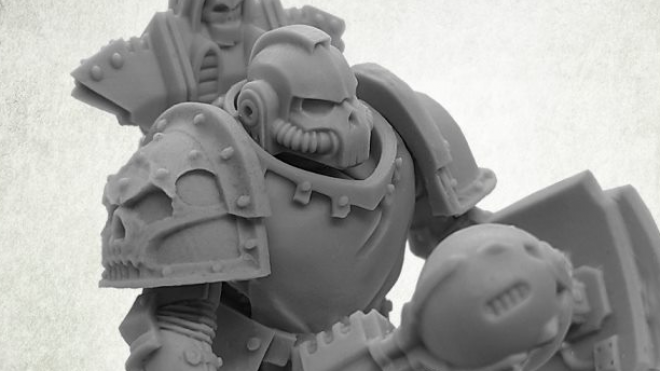 Scibor have released a new large scale miniature on their webstore, a Just Knight who is ready to smite the unworthy. 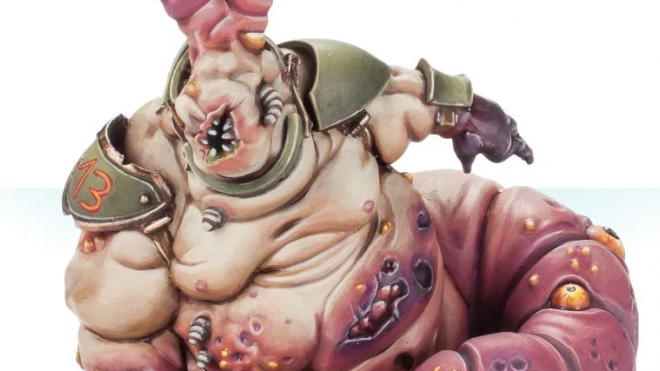 A new Big Guy is coming out from Forge World for those plague worshipping refs to add to their line-up; the terrifying Rotspawn. 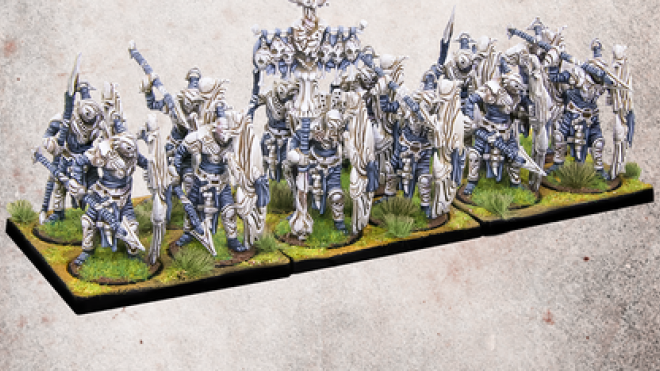 Puppets War have come out with a new release that takes heavy weapons support to the extreme; the H.I. 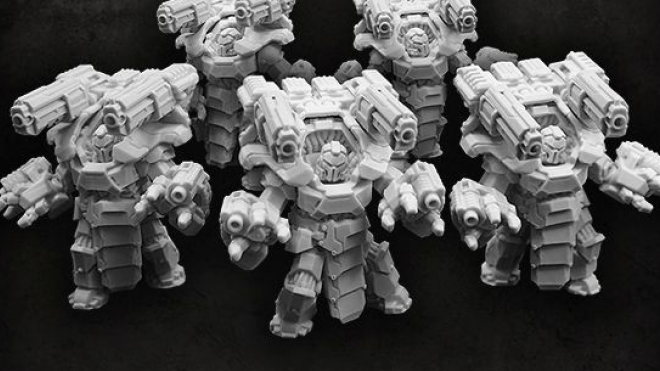 Goliaths Squad. 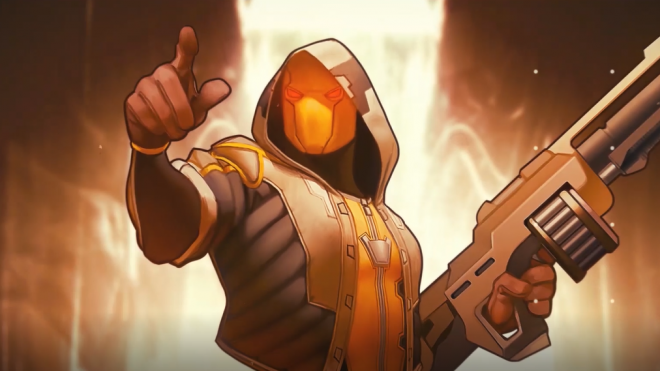 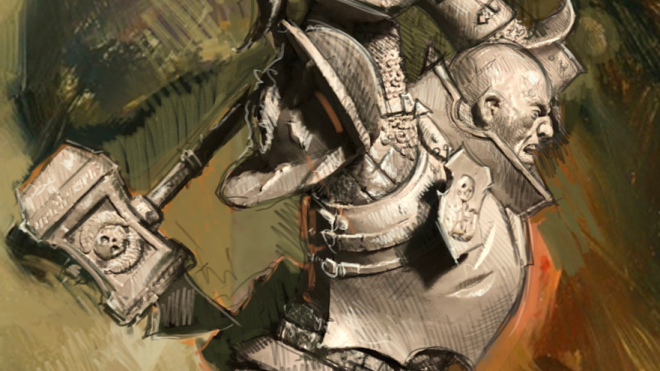 Para Bellum have introduced us to another of the units that make up Conquest. 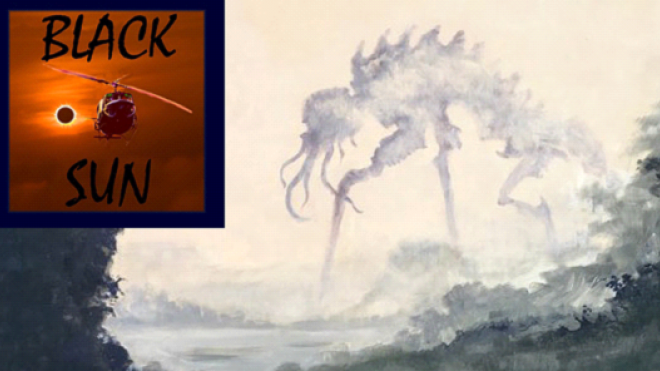 This time, we find out about the wretched existence of The Spire's Force Grown Drones. 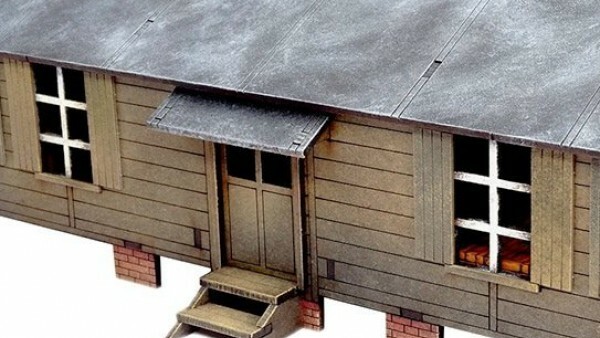 Watcorp Designs have created a ranged of STL 3D print files for a wargaming futuristic 28mm monorail design. 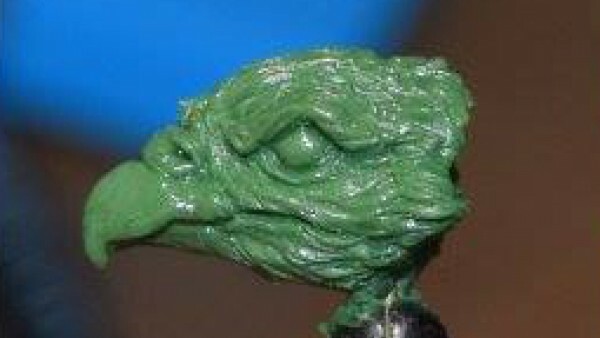 The files have been tested across a range of 3D printers to ensure consistency and are printable without supports. 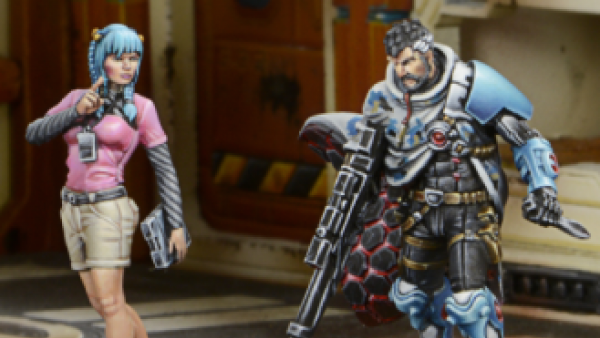 It's International Women's Day, so it's only right that we check out the latest Toughest Girls of the Galaxy release from Raging Heroes. 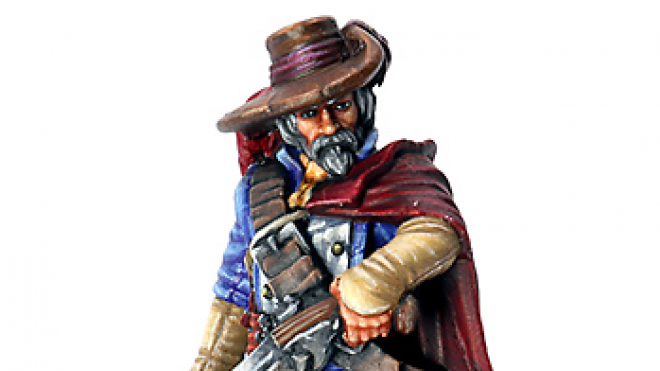 Wyrd Reveal Misaki’s New Look For Malifaux 3rd Edt. 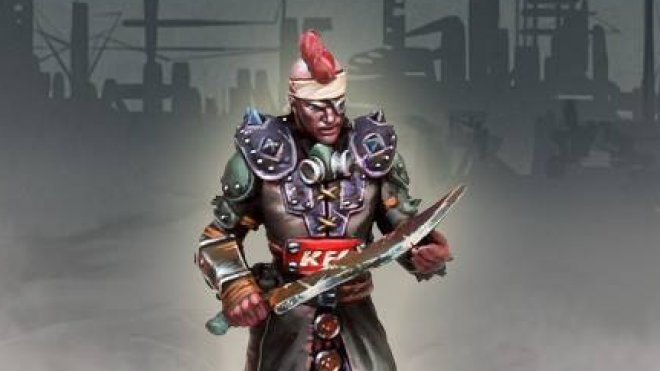 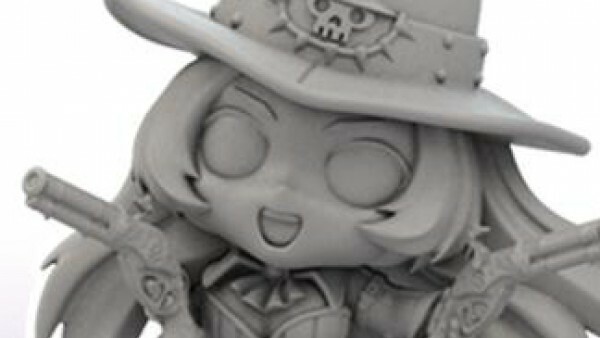 Wyrd are still working on the latest edition of Malifaux and have just revealed the new look and stat card for the crew master Misaki Katanaka. 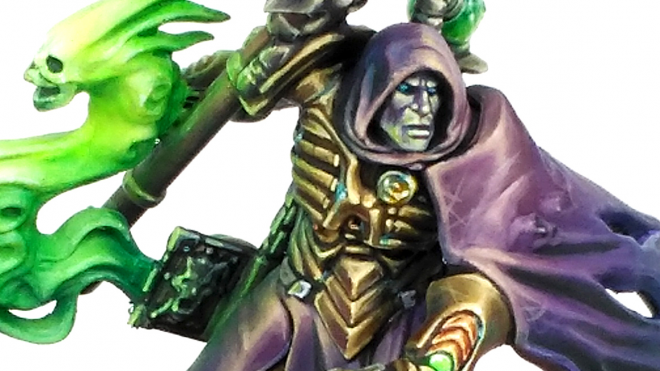 Exciting things are happening in the Infinity as Corvus Belli reveal three new trailers showcasing their new army pack and campaign book, which promises to change the Human Sphere forever. 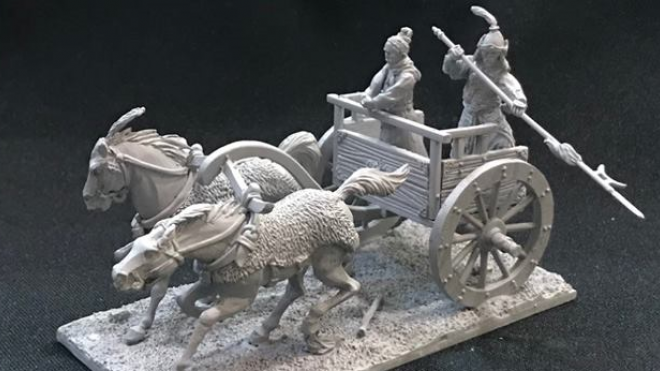 Zenit Miniatures are heading to Kickstarter to create a new range of 30mm minis for Kensei, their game based in a fantasy feudal Japan. 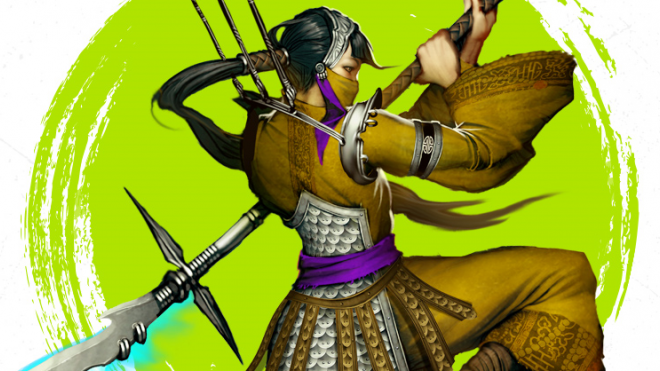 Now the Empire of Katai are joining the fight. 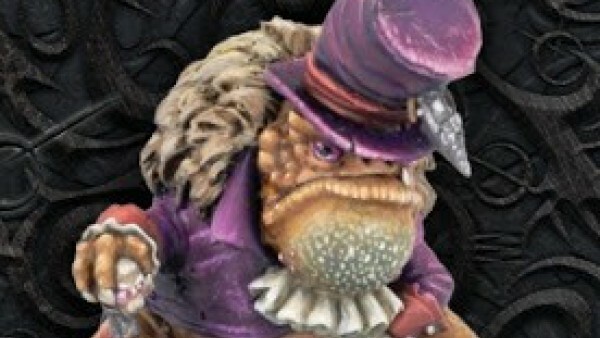 Privateer Press Announce Well of Orboros Preorder With Free Water Bottle! 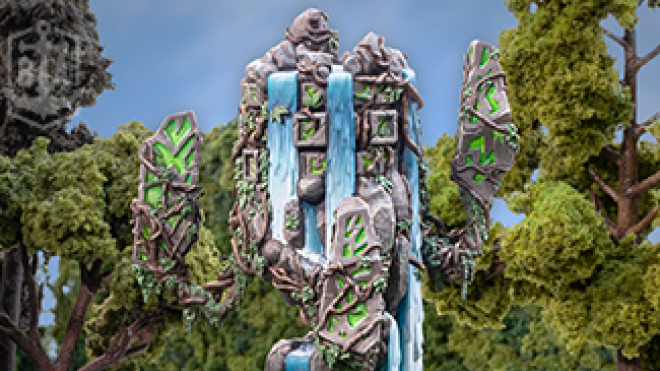 A powerful elemental tool built by the blackclads of the Circle Oboros, the Well of Orboros comes with a free Black Anchor Industries Water Bottle when preordered through the Privateer Press website! 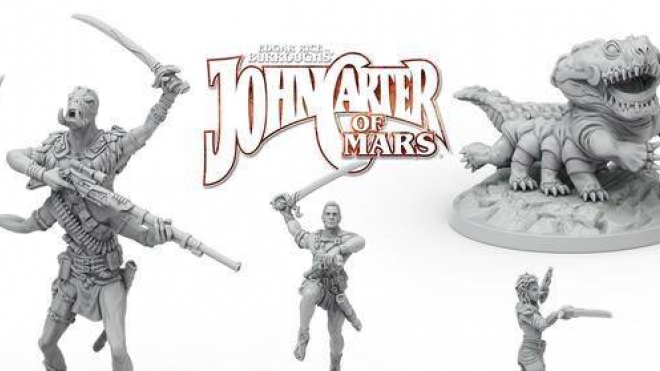 Modiphius have some new releases for the world of John Carter of Mars, including the Heroes of Barsoom themselves. 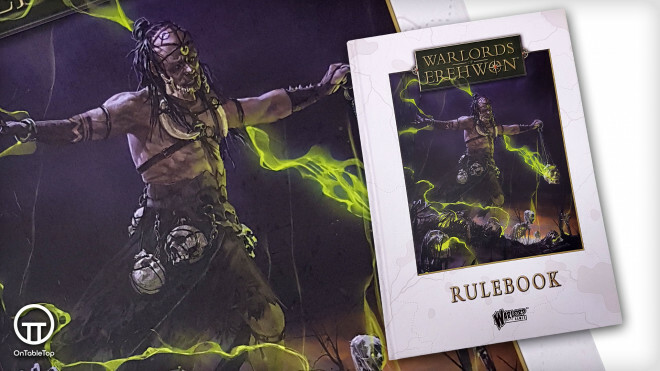 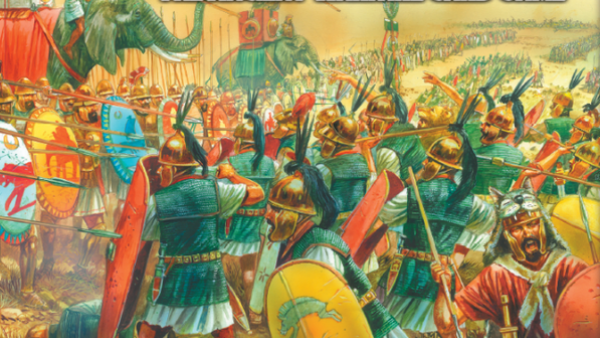 Gerry got the chance to dig into the rulebook for Warlord's new fantasy tabletop miniatures game Warlords of Erehwon and couldn't wait to tell us a bit more about this awesome game. 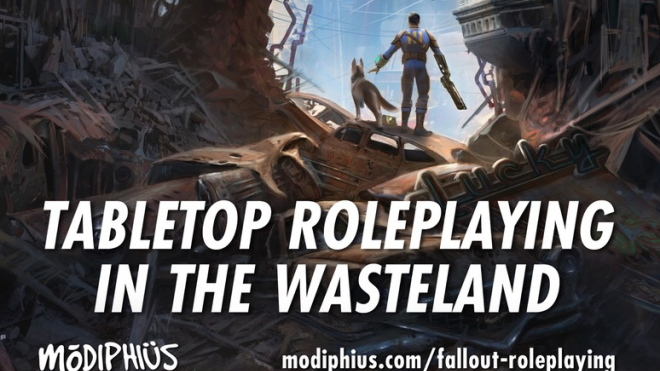 Today, Modiphius made the exciting announcement that this year they will be bringing out two new roleplaying games to let you once again explore the unique post-apocalypse world of Fallout. 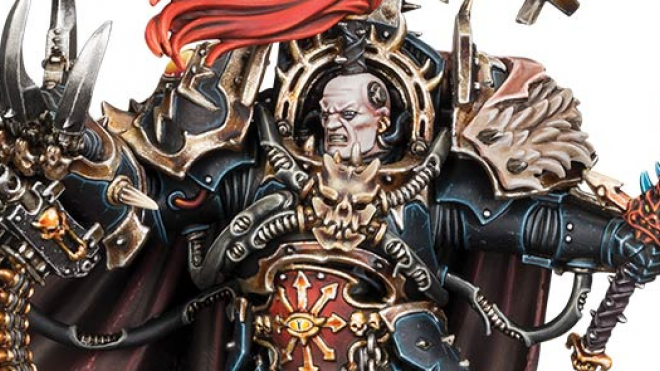 The Despoiler, most feared of the heretic Adeptus Astartes, warmaster of the Black Legion, and successor to Horus, is returning to Warhammer 40,000. 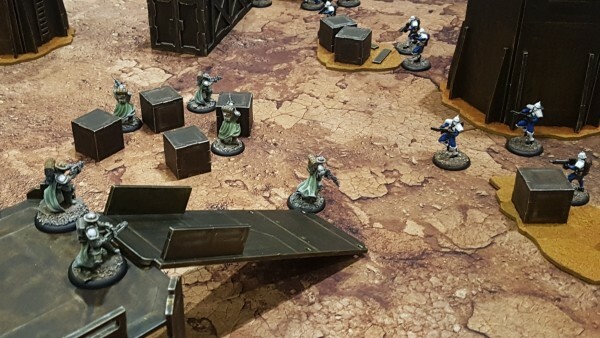 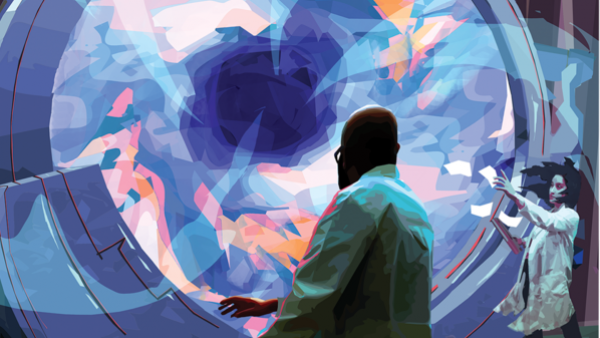 Crucible Crush, alongside Robert Murch, are taking their next game Black Sun to Kickstarter and have now released the playtest version of the rules. 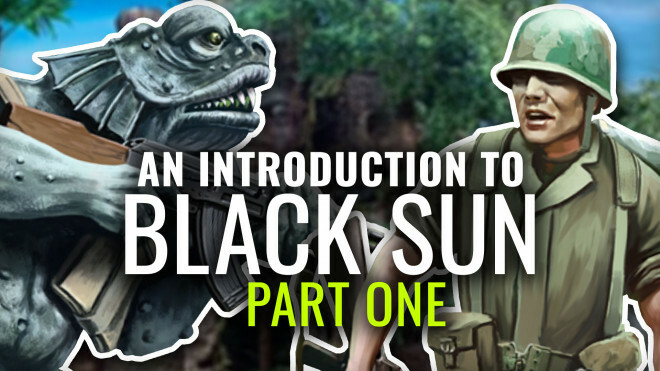 Lee from Crucible Crush Games introduces us to the world of Black Sun, their new game based in a Vietnam War gone weird. 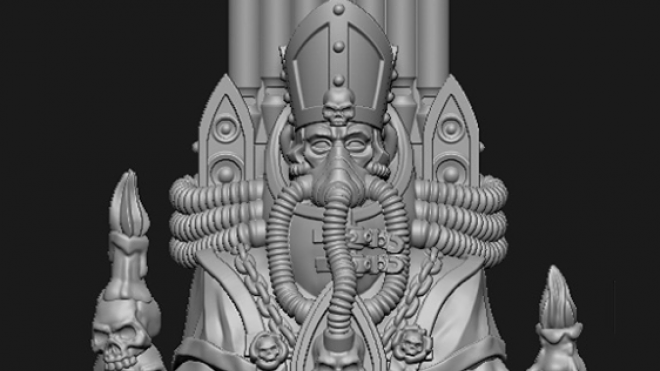 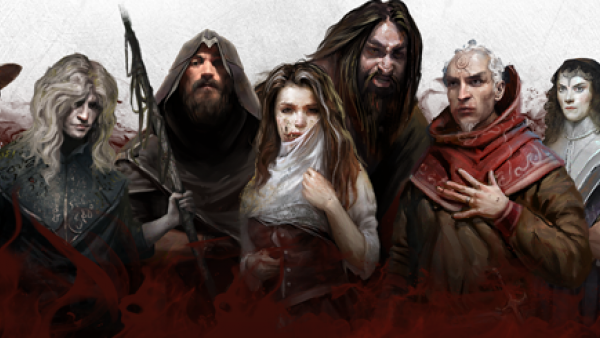 Paranoid Miniatures recently launched a Kickstarter to bring a new faction, The Brotherhood, into the world of Mythos. 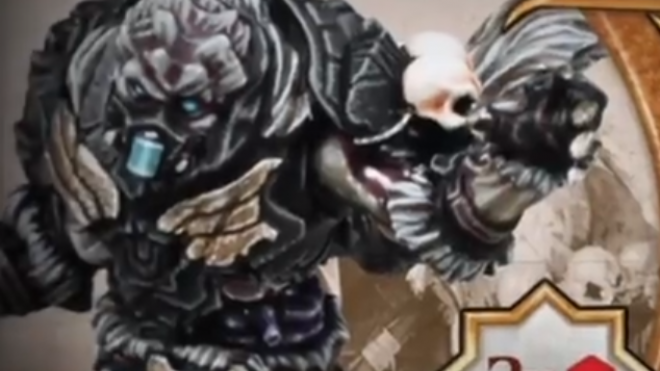 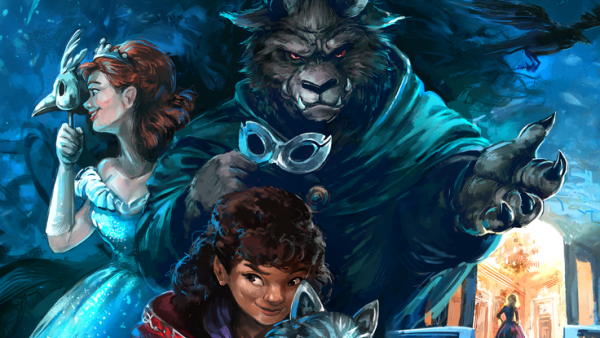 In the latest update, they revealed a rather gangly looking gribbly; the Alukah.